Daniel George graduated the University of Arkansas in Fayetteville and joined B&F in 2009 after working as an intern during the summer of 2008. Daniel’s experience in the construction industry began during his teenage years as a construction laborer. He also worked as an intern for the Arkansas State Highway and Transportation Department before joining B&F. Born and raised in Hot Springs, B&F was a natural fit for Daniel. Daniel’s responsibilities at B&F include design and project management for a variety of civil development and structural engineering projects. Project tasks he has completed include initial planning, cost estimating, schematic design, design development, construction document preparation, and construction management. 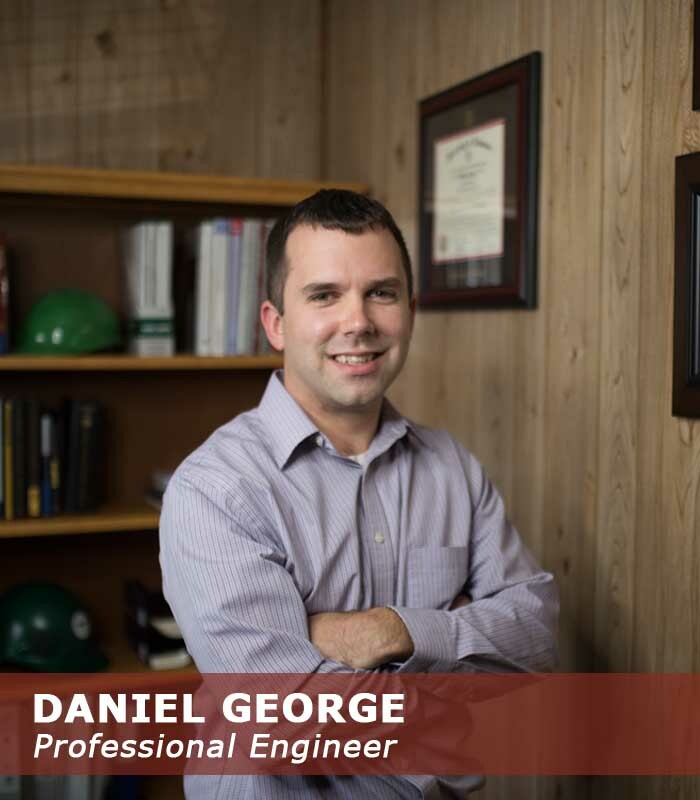 Daniel, a Licensed Professional Engineer is active in the Arkansas Society of Professional Engineers at both the state and local levels serving as the Hot Springs Chapter President from 2014 to 2016. He is also associated with the National Society of Professional Engineers (Chi Epsilon – Nat’l Civil Engineering Honor Society). Daniel enjoys spending time outdoors whenever possible. He and his wife Brittany, an Elementary School Counselor, have a daughter and son.